It’s easy to see why the pet grooming business has become so popular these days. More than ever before, pets are seen as being a part of the family, deserving of being primped and pampered just as much as we are. If you love animals and would also like to participate in this growing industry, purchasing a dog grooming business for sale in Adelaide from Aussie Pooch Mobile Dog Wash could be a fantastic and potentially life-changing opportunity. Pet pampering services have taken off across Australia, and Adelaide is no exception. With so many dog owners eager to treat their pets to the very best, including regular washing and nail trims, there is no shortage of opportunity for would-be grooming business owners. But beyond the opportunity to turn a profit, when you buy a dog wash business for sale in Adelaide, you’ll have the ability to surround yourself with friendly four-legged companions from your neighbourhood and have a job that feels just as rewarding as it pays. While starting your own business from the ground up could be challenging and require a significant investment in gaining necessary grooming and business skills, not to mention time spent marketing your new venture effectively, you can get started the easy way by joining the dedicated team of animal lovers at Aussie Pooch Mobile Dog Wash, Australia’s most trusted brand of mobile dog groomers. When you buy an available dog grooming franchise in Adelaide from us, you will receive the training you need to get started, along with a mobile dog washing unit and support for life while you remain a part of our family of passionate groomers. 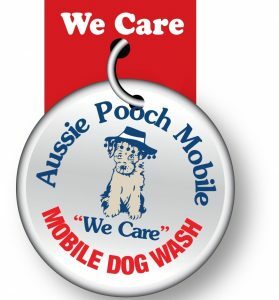 Getting started with Australia’s premier mobile dog washing franchise program couldn’t be simpler. You can view our available selection of franchise opportunities and learn more about how our franchise system works, including the ability to ‘try before you buy’ and our many manage to own franchise packages. Once you invest in your new dog grooming business for sale in Adelaide, you’ll be joining an existing worldwide network of over 200 owners and operators and be able to leverage the power of a brand that has consistently delivered exceptional and affordable services to our thousands of customers for nearly three decades. Absolutely no experience is necessary. All you must have to begin is a sincere love for animals and a positive, outgoing attitude. From there, our professional groomers can teach you how to provide our convenient and reliable dog grooming services—including our signature hydrobath, ear cleaning services, nail trimming and much, much more. We also offer assistance for a variety of government accredited courses, allowing you to master any number of important grooming skills. Are you ready to get started with your new career in the booming pet industry? If so, feel free to contact Aussie Pooch Mobile Dog Wash today with any enquiries and a helpful member of our staff will be in touch with you shortly.